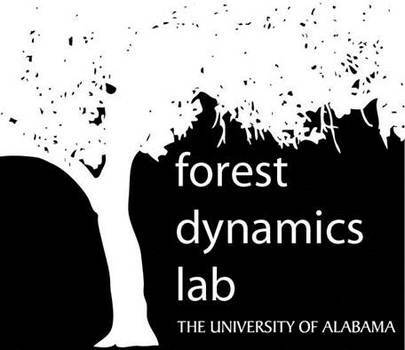 ﻿The Forest Dynamics Lab at the University of Alabama was established in 2009. The primary mission of the lab is to conduct research that directly improves the management of our forest resources. Our research projects in applied forest ecology are wide ranging, but we place special emphasis on forest stand dynamics and forest disturbance ecology. Results from these projects help forest managers to achieve an increasingly diverse range of objectives from ecological restoration to enhancement of structural complexity to commodity production. The lab is also committed to high quality instruction of courses in forest science and management that include experiential learning opportunities. In addition, lab personnel are actively involved in service activities to improve the management of our forest resources.